Phather Phil was not present today so Bill Stone offered the opening prayer after thanking the club members for their prayers for he and his family on the recent sudden passing of his brother, Bobby. Tom Novak, Avenue of Flags, announced we will be delivering flags on 8/30-31/2018 for Labor Day. Please consider volunteering to help deliver and pickup flags. This team can always use more help! Donna Huss asked if someone would PLEASE step up and chair the Communication Contest for the Deaf and Hard of Hearing (CCDHH) committee. Donna will help and has contacts. 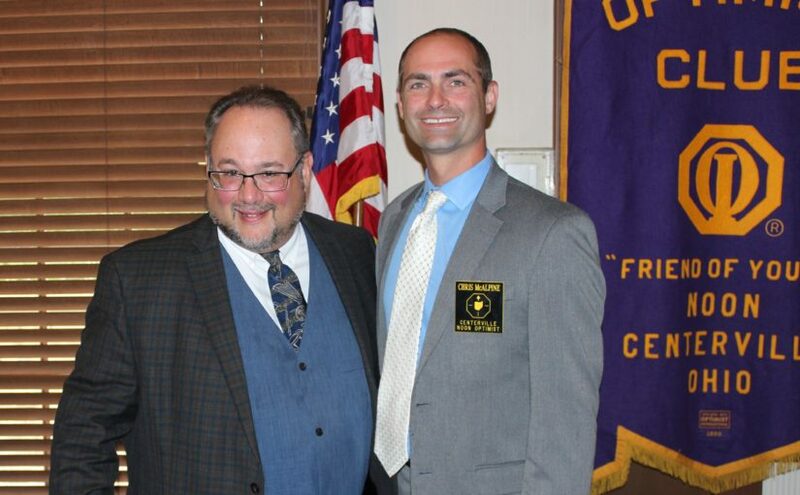 Someone from the Greene Optimist Club has volunteered to partner with us and help the new chair. Chris McAlpine, President said there will be a board meeting at the Park District headquarters at 7 PM on 8/24/2018. Anyone can attend. 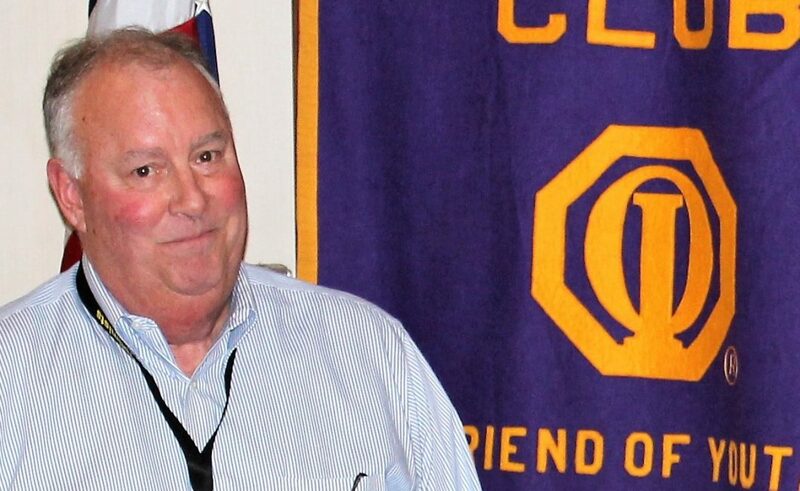 Myron Rheaume reported on the Ohio District OI convention over the weekend held in Fairborn. There were 151 registered delegates from 21 clubs. The International OI President also attended. 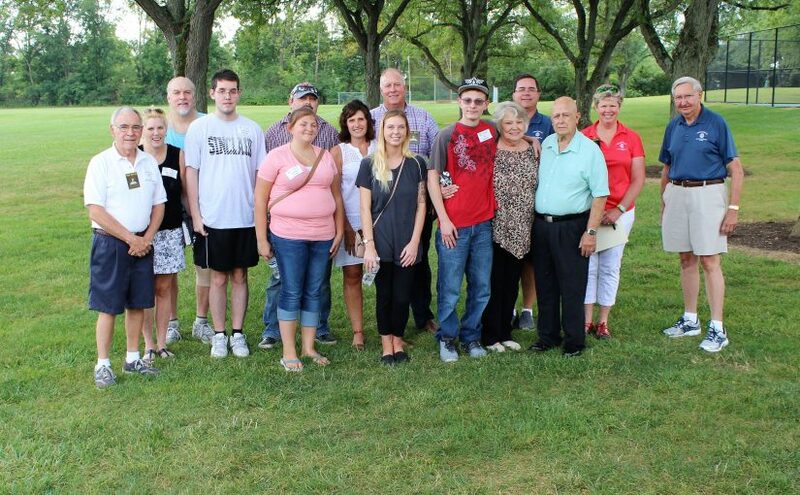 Ten percent of the attendees were from the Centerville Noon Optimists. With the points from Awards and Achievements, we were ranked number three for the third quarter, but we should be number one by the end of the fourth quarter. Pat Behn received an award at the convention for achieving level 1 in the professional development program (PDP). She has achieved level 9 for Personal Growth & Involvement (PGI) program. She is also the incoming Lt Governor for Zone 14. Jean Pummill, our secretary, further reported on the Ohio District OI conference. She presented various awards that they gave to her at the convention to distribute. Chris McAlpine told everyone to thank Ellie Parker for making the trifolds we took to the convention and also encouraged everyone to take a look at the trifolds after the meeting. Kelly Stone gave out 3 Above and Beyond awards. Brian Nolan, a new member this year has participated in numerous activities. Brent Richburg, a new member, chaired the Americana Booth this year and also signed up for next year. Mike Cordonnier a new member, built our float for the Americana Parade with the aid of his students. Gary Smiga introduced Alexandria Bollinger. We have renewed her $1500.00 scholarship at Brigham Young University where she is majoring in International Studies. She started Brigham Young University with 9 Credit Hours through Advanced Placement exams, scoring the highest score of 5 on all the exams. In college she completed 29 hours with a GPA of 3.17 studying Psychology, English Literature/Composition and English Language/Composition. Alexandra has continued her activities and community service during college, including Promotions Manager at BYU’s Museum of Peoples and Cultures, Presidency of the Peace and Conflict Resolution Society, Model United Nations, Hip Hop Club, International tutoring Korean Women in English, Refugee Service Club, Korean Student Association, HELP International Humanitarian, study abroad/academic internship in Thailand building houses for families, and she is the Co-chair of the Family History/Indexing Committee at her church. She spoke to us briefly and started off by thanking us for the scholarship. She spent 3 months in Northern Thailand working on sustainable projects. During her work she learned a lot about people. She also took a class that studied how to help reduce human trafficking. Mike Bevis introduced Paul Helfrich, the President & CEO of the Dayton Performing Arts Alliance, a position he has held since July 2012. He received his Bachelor of Music degree (with distinction) from Indiana University – Bloomington in 1984, and a Master’s degree in Arts Administration, also from Indiana University, in 1986. Mr. Helfrich came to Dayton to serve as President of the Dayton Philharmonic Orchestra in October 2008. In four years with the DPO, he oversaw the launch of new programming including the highly successful Rockin’ Orchestra series, the completion of a $1.5 million special fundraising campaign called Protect & Secure, and played a key role in the merger of the Dayton Philharmonic with the Dayton Ballet and Dayton Opera to create the Dayton Performing Arts Alliance. Prior to his arrival in Dayton, he served 12 years as Executive Director of the West Virginia Symphony Orchestra in Charleston, West Virginia. His time there saw a great expansion of the orchestra’s concert, touring, and education programs. Mr. Helfrich has also served as Executive Director of the Erie Philharmonic and Director of Marketing for the Kalamazoo Symphony. He resides in Centerville along with his wife, Geanie, and children Donald, a sophomore at The Ohio State University, and Gabby, a senior at Centerville High School. His presentation was titled, “The Dayton Performing Arts Alliance: An Update”. In 2012, leadership of the Dayton Opera, Dayton Ballet, and Dayton Philharmonic Orchestra created a groundbreaking and innovative merger, forging these three art forms into one organization named the Dayton Performing Arts Alliance. This merger is the first of its kind in the nation—in no other city can performing arts lovers experience the dramatic collaboration with the range and depth of experiences being offered in the Dayton community. The Dayton Performing Arts Alliance, with Dayton Philharmonic, Dayton Ballet, and Dayton Opera as its three crown jewels, has carefully planned for future success by creating a single management structure and business operating unit while preserving and promoting the integrity and identity of each of its three art forms. This alliance, unique in the nation, emulates the model of highly successful European performing arts organizations, taking artistic collaboration to a new level. Since, 2012, they have served Over 95,000 people. They have also served more than 75,000 children through educational programs. This season there will be 4 Ballets, 4 operas and 30 concerts from the Philharmonic incorporating several different types of concerts. New Strategic plan after reflecting on the first 5 years. Vision: Transform lives through the power of music and dance. To be our community’s indispensable source for traditional, diverse and innovative performances.. Values: We must be a welcoming force. The performing arts must address and enhance the lives of all people. We must be fearless innovators. Inspired by Dayton’s history. We must be responsible stewards. We must ensure the future of the arts. We must be uncompromising performers. We must be inspiring educators. We must be a dynamic partner. Aspirational Goal: Matter to Dayton. Attract diverse audiences. Functional Goal: Service to the community. Offer new performances. Functional Goal. Leverage Our unique Artistic Structure. Functional Goal. Education for all ages. Foundational Goal. Fiscal Sustainability. Develop financing, balance budget, increase reserves. They will be trying to setup performances at the Levitt Pavilion venue in 2019. Open to discussion to adding other groups to their alliance. The presenter to our lunch on July 17, 2018, Gerry Cohen, the president of the Miami Valley Pet Therapy Association (mvPTa), informed us that the venue for their annual major fund raiser The Howl Run / Walk, has been changed to The Mall at Fairfield Commons in Beavercreek. It is still on 9/29/2018 from 9 AM to 1 PM. In addition to the run/walk their will be costume contests. police demonstrations and silent auction gift baskets. You can register online. There will be 4 different 5K’s and 4 prizes awarded, 2 for walking and 2 for running, both of these with or without a dog. 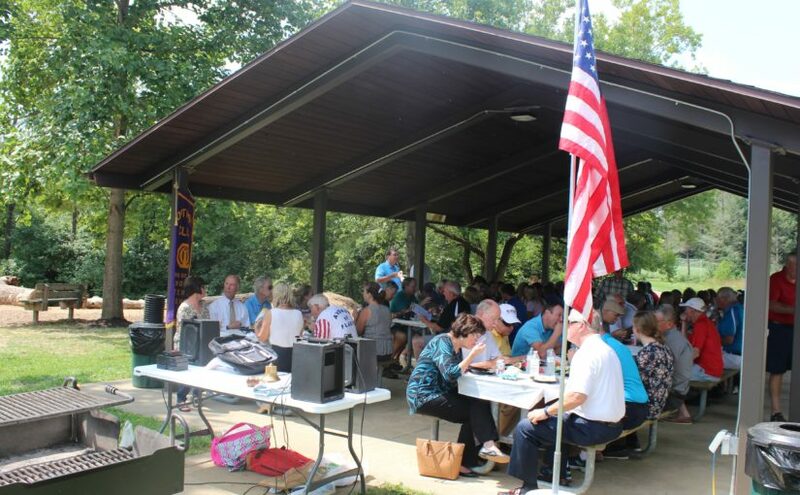 A special thanks to Dave Kay for offering the opening prayer, a reading from The Old Testament, before the start of our picnic lunch and meeting. Today’s meeting was held outside at Forest Field Park. We enjoyed lunch on the picnic tables under the shelter. This was next to the new playground we funded with a $25,000 donation in honor of our 50th anniversary. Nancy Lehren, Childhood Cancer chair, stated that Build a Bear for Sickle cell anemia was held on August 11, 2018. Thank you to everyone who helped participants create 116 bears, making the event a success for participants and volunteers as well. Pat Behn said thank you to everyone who is donating school supplies for the Ohio Optimist District donation project. Today was Vincent’s actual birthday. The singing was exceptionally bad, however, being an optimist, I noticed that because we were outside there weren’t four walls to reflect the sounds back at us. Gary Hansen, the Will Cale Scholarship chair, introduced the recipients of this year’s Will Cale Scholarships. The first year of this scholarship was 2010. Dan Beck was chairmen for the first 8 years. This scholarship requires a Counselor’s recommendation and emphasis is on financial need and potential rather than academics or class standing. The scholarship provides up to $750 per semester for up to six semesters ($4,500 total) at Sinclair College, sufficient funding for an Associate’s Degree. In addition to the funding each winner receives 2 mentors from our membership. Zoe PIrslin is being mentored by Jane Fiehrer and Gary Hansen. Zoe brought two friends with whom she is currently living. She will be majoring in Visual Communications. Victoria Brinkman is being mentored by Joan Cordonnier and Robbie Johnson. She was accompanied by her boyfriend who is also going to Sinclair and will provide her transportation. She wants to be a counselor and will be studying psychology and plans to transition to a 4-year school after Sinclair. Mya Wehde is being mentored by Jayne Weikel and Rob Tinnerman. She was accompanied by her parents. She will be studying education. The other 2 winners, Brittney Grant and Allison Salyer, were not able to attend today. Brittney is being mentored by Tom Novak and Diane Arehart. Allison is being mentored by Will and Sylvia Cale. 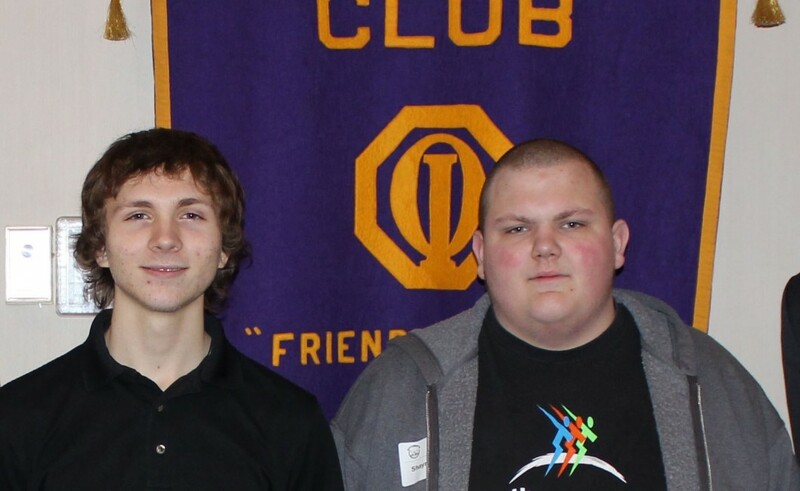 During the meeting today, everyone that was a previous or current mentor was asked to stand and be recognized. Gary Smiga introduced Jessica Barton. We have renewed her $1500.00 scholarship at Cedarville University where she is majoring in professional writing. She started Cedarville with 18 Credit Hours through Advanced Placement exams in High School. In college she completed 30.5 hours with a GPA of 3.939 studying: General Psychology, Introduction to Literature, American Government, Statistics, and US History I and II. She has continued her Community Service including volunteering at the Americana Parade concession stands and with an unpaid summer internship as a Christian writer with a Christian Ministry Internship. She has also started writing her own book. Chris McAlpine Chris lost the gavel and his daughter had to retrieve it. Will Cale For Phather Phil’s 93rd birthday, missed the time change for cake and ice cream and arrived late. Brian Nolan Took a hike at the park recently and got lost. Myron Rheaume Wife Charla and he celebrating 53 years of marriage, they put in $5! Bob Duffy Happy Will Cale Scholarship winner, Victoria Brinkman, is studying to be a counselor. Myron Rheaume Granddaughter showed perseverance trying out for the Springboro HS Tennis team 3 times before making the team. Myron Rheaume Freshman grandson made the Springboro HS Hockey team. Melissa DeShurko Son Mitchel is starting his first post-degree job at an investment company. Deb Saunders Happy Will Cale Scholarship winner, Zoe PIrslin, is studying visual communications. Charlie Goodwin Nathanial Delong will be the King for the Holiday at Home Parade this year. He is the fourth Eagle Scout from Troop 236 to be recognized for leadership and community service by this parade. Patricia Kuhlman First book published. Julie Noeth First grand baby! Patrick and Diane Arehart Son Benjamin Arehart became an Eagle Scout. Ben’s scout leader is CNO member Charles Goodwin. Don Kelley Oldest granddaughter Emma just started her 5-year PHD program in chemistry at Vanderbilt. Ellie Parker Member Rachel Goetz is having surgery on her foot. Please say an extra prayer for her. Heavenly Father, when we lose someone we know whether it is a friend or family member our heart aches at the loss. With regret we hurt because we didn’t get to tell them how much we love them or how much they have meant to us for just being them. Lord give us the wisdom to always thank another for all they have meant to us, for we never know when the last chance will be to reap the joy of giving. Amen! 1st Joe Madden recognized Pat Behn as our distinguished past Lt. Governor for zone 14. Dan Beck talked about the Will Cale scholarships and how the recipients are chosen. He acknowledged the committee and Will Cale’s 50 years in education and his contribution. Tom Novak and Gail Aiken mentor Cameron Barber who was introduced with his family. Will Cale and his wife, Sylvia mentor Eli Damron who was introduced with his parents. Gary Hansen and Joan Cordonnier mentor Dominick Benincasa who was unable to join us today. Dan and Kathy Beck mentor Ashley Long who was introduced with a guest. Kathy Beck introduced Kelsey Sizemore, a past Will Cale recipient and success story. 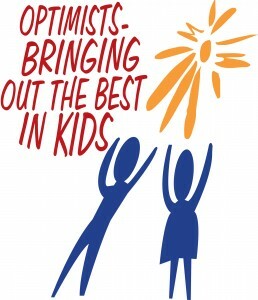 by our love and devotion to You and the Optimist kids. Amen! Kelly Stone presented the “Above and Beyond” Award to Roy Barclay for his tireless behind-the-scenes support of the Christmas Tree Lot and the Oratorical Contest to name a few… Roy is a person who prefers to be out of the limelight, however his significant contributions to the club could not go unacknowledged. Congratulations – Roy! Speaker Chantae McMillan – Medalist from 2012 London Olympics. and featured on the cover of ESPN magazine was unable to join us today. Hopefully will be able to reschedule her at a later date. Thanks to Dan Beck for stepping in at the last minute to speak to the club! Dan told the club about the Will Cale Scholarship – Created 10 years ago for youth in the community that are at risk or have had a rocky road in life. Students are referred by the Centerville Schools counselors. They receive $750.00 per semester, for 8 semesters, enough scholarship funds to obtain an Associate’s Degree at Sinclair Community College. Anyone interested in mentoring a student, contact Dan Beck. This week the sergeants asked anyone who has ever played an organized sport to please stand – nearly everyone in attendance stood – and were summarily fined $1.00. Stan Fronzaglia (two Happy Bucks) Joyce and Stan will be in FL for 2 weeks. Daughters’ surgery was a success. Mike Bevis Bob Duffy is NOT at the birthday table (for a change). Vida McDowell Grandson is 3 years old Saturday. Nancy Lehren Her daughter just had a grandchild – a boy named Lincoln. Bob Collins Myron Rheaume had successful back surgery and is recuperating well at home. Kelly Stone Celebrating three-year wedding anniversary.